LIVINGSTON, Texas - A monster gator was recently seen at Lake Livingston. The photos and video were sent to KPRC by Tree Richards, who said the gators are out all the time. Richards said he's never seen any aggressive incidents, but he and his family do their best to not disturb the gators. He also said he contacted Parks and Wildlife officials to report seeing an albino gator. 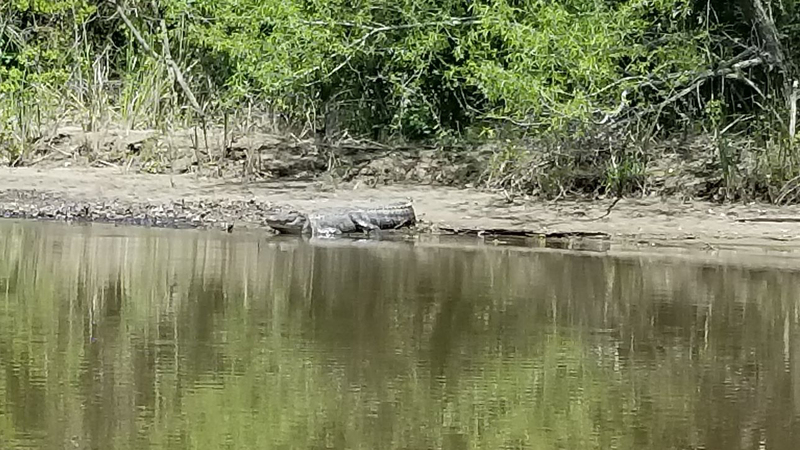 The monster gator seen in the video was hanging out on White Rock Creek. Richards said he was with his wife and son when they made the discovery.